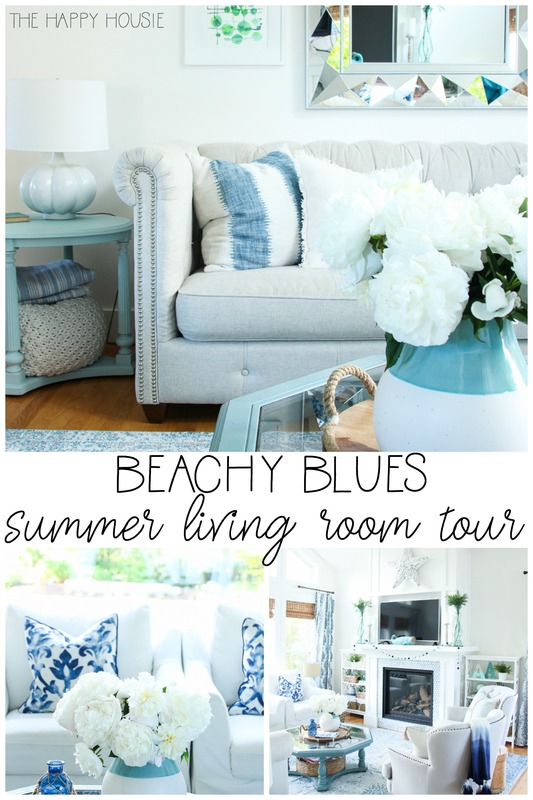 Today I’m super excited to be sharing my first summer room tour of the season; our beachy blues summer living room tour, as part of the Summer Colours Home Tour series. Wow! I can hardly believe it. May went by in the blink of an eye. 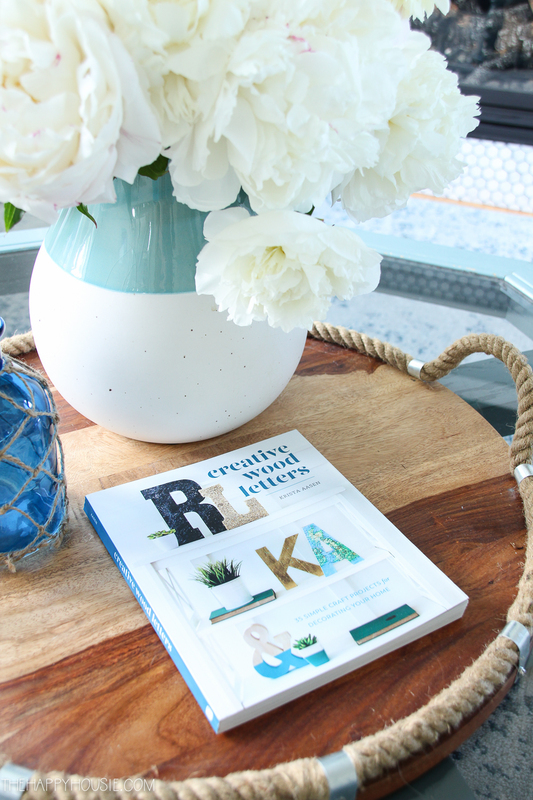 Between baseball season, sunshine, and long weekends… I’m trying to reflect back on where the month even went. It’s partly because of how hard we’ve been working the last few weeks, get all kinds of jobs finished around (in and outside) the house. It was our seven year anniversary of owning this home just the other day, and it’s pretty amazing how many changes we’ve made in the past seven years. 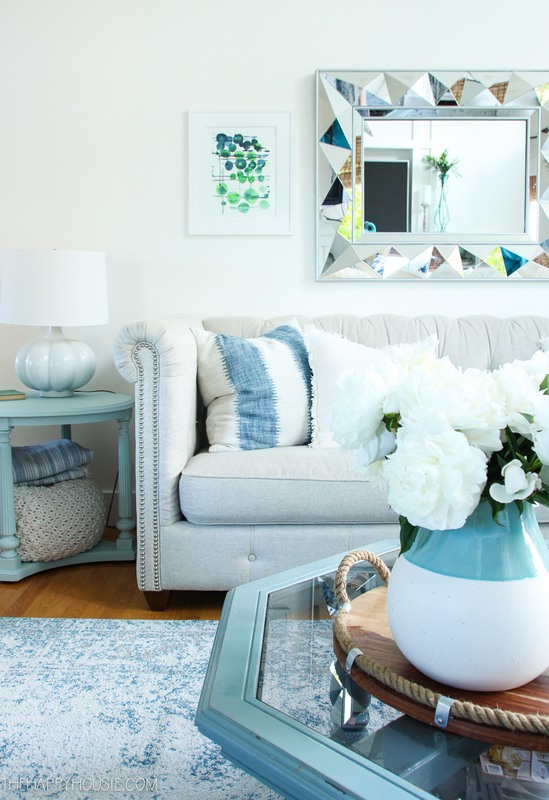 I’m going to start a little “before” and “after” series heading into the summer, because reliving room transformations is one of my favourite things! 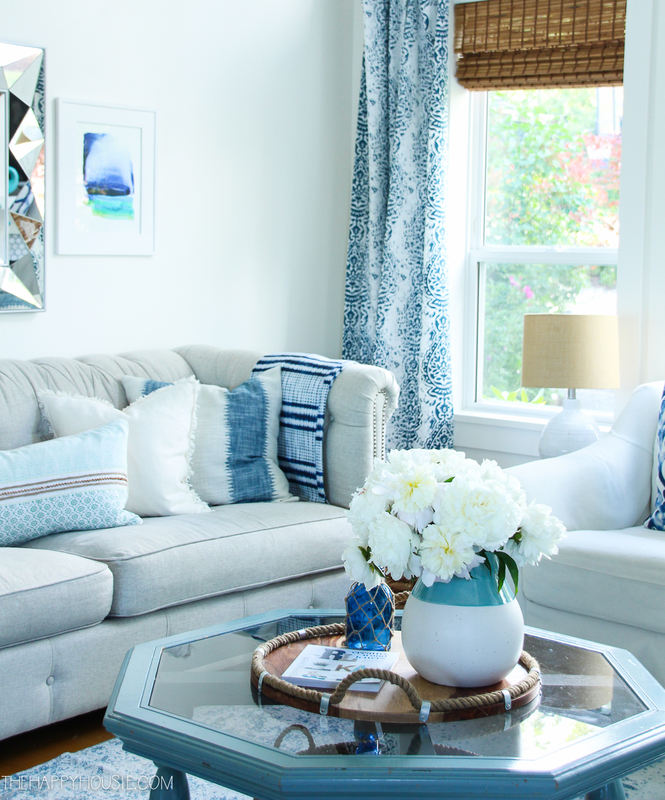 I’m thrilled to be joining my friend Jennifer from Town and Country Living for the Summer Colours Home Tour series! 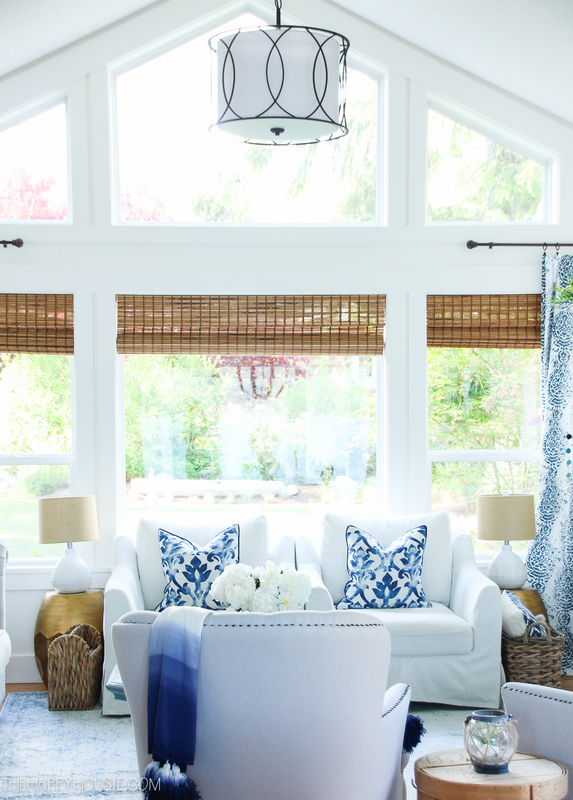 Each day this week some of my talented blogging friends are sharing how they decorate their home with a favorite summer colour – they’re all listed at the end of this post. It’s never hard to guess what my favourite colour is, no matter the season. Blue, blue and more blue. And it’s a scheme that now begins on the outside of our home and carries itself all the way through each and every space indoors. 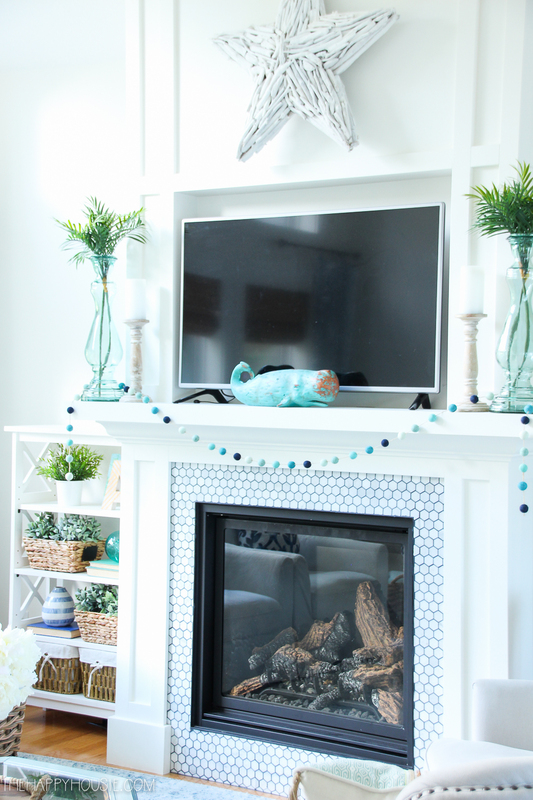 I shared the details on our summer mantel just the other day. 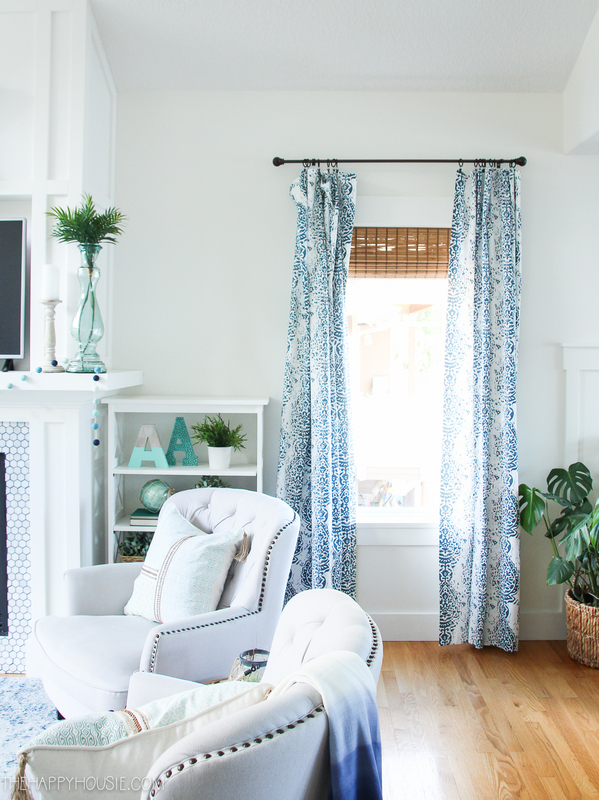 The curtains are a DIY project and I’ll be sharing more details on it really soon! 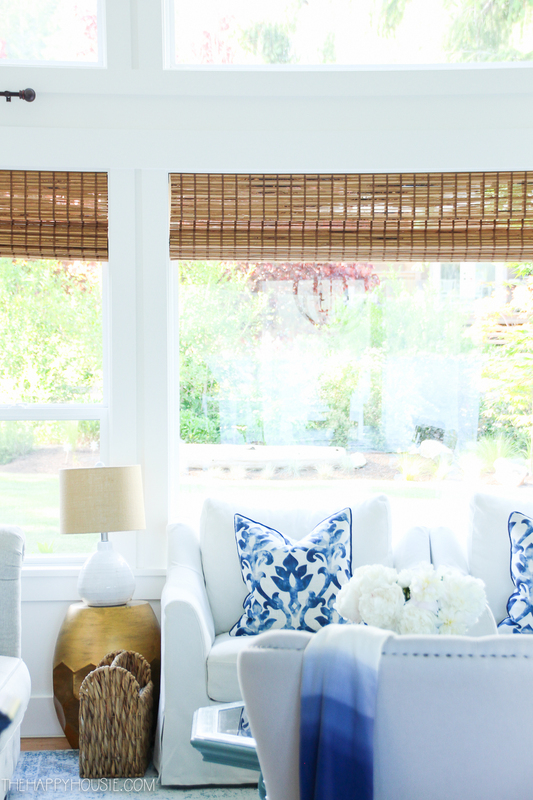 I love the contrast with the warmth of the bamboo roman blinds (I ordered mine a couple of years back through Blindster.com and shared the details here). 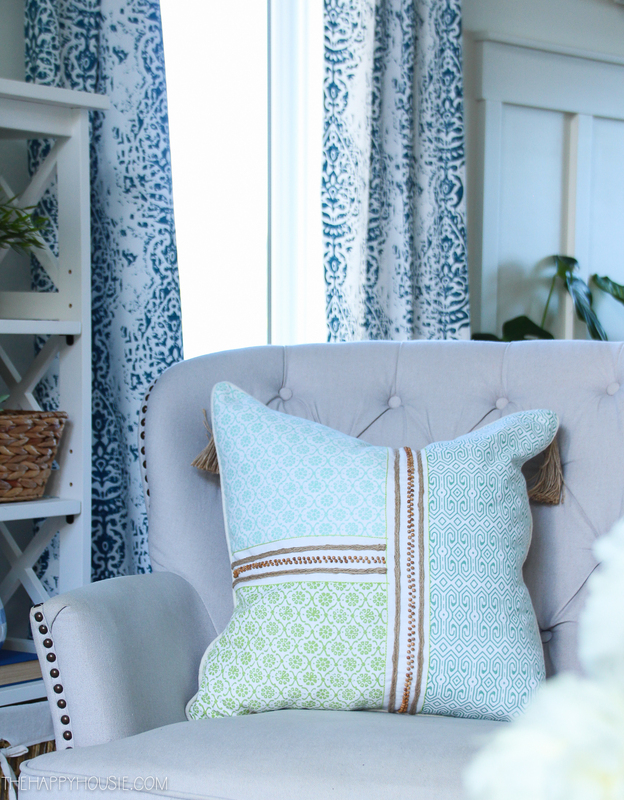 I loved my blue patterned pillows, originally shared in our spring home tour, so much that I wanted to keep them for another season… or maybe forever. I feel like they were made for those white chairs. I ordered these big striped pillows from Tonic Living. 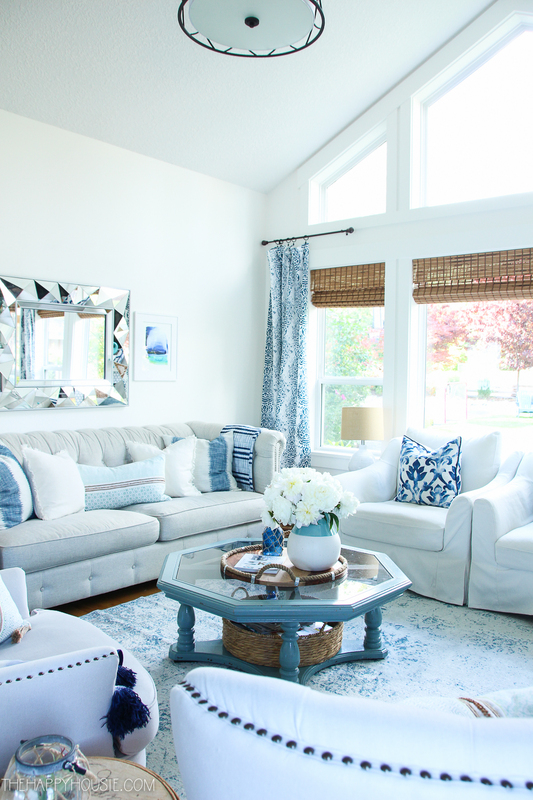 When you want something high quality and stunning, it’s definitely the place to go. Have you ordered from there before? It’s one of my longtime standbys! 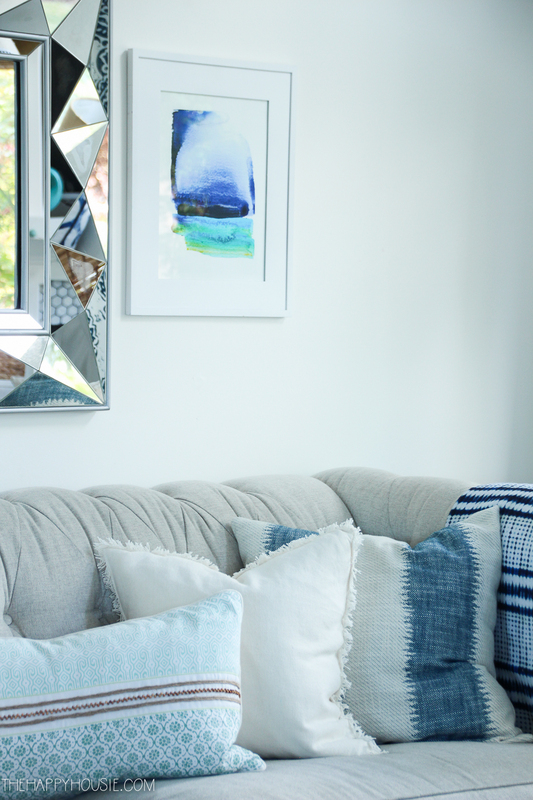 This Passagio Batik was a bit of a splurge but they are insanely comfortable and so neutral (in a home that considers blue a neutral), that I think they’ll work for every season. Hey! Look what else is on that tray. It’s available on Pre-Sale for a few more days and then comes out officially on Tuesday. Woot Woot! 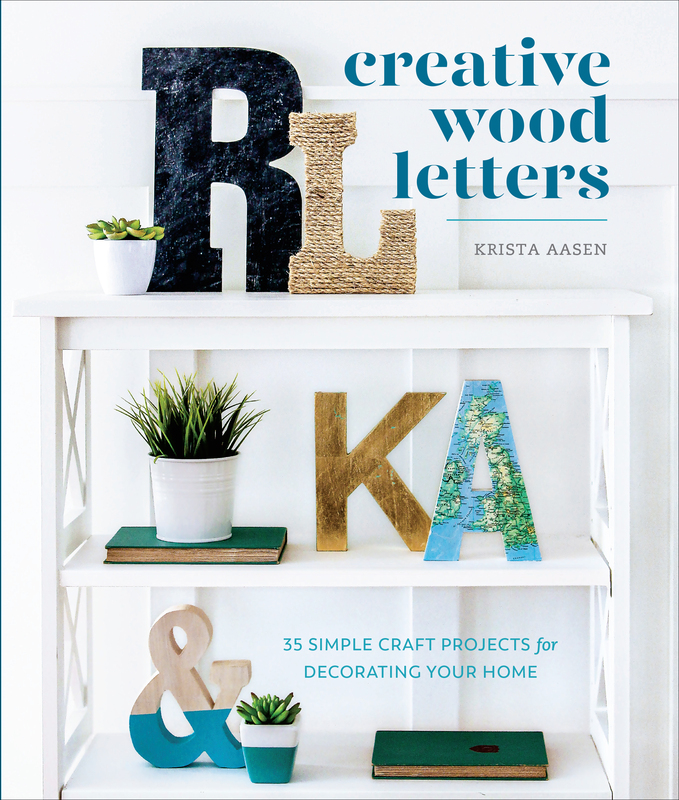 You can order your own copy of Creative Wood Letters here. In fact, there have been beautiful summer colours tours happening all week!! 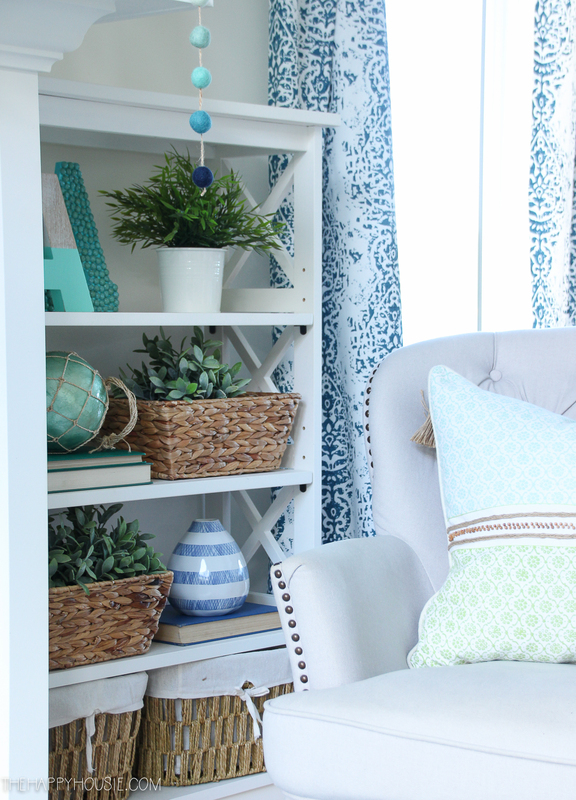 I love the fact that even though there are lots of blue items, it is subtle and not overwhelming. It can be hard to find the right balance. I think you have succeeded. Thank you for sharing the photos. They are beautiful. Aw, well thank you so much!! 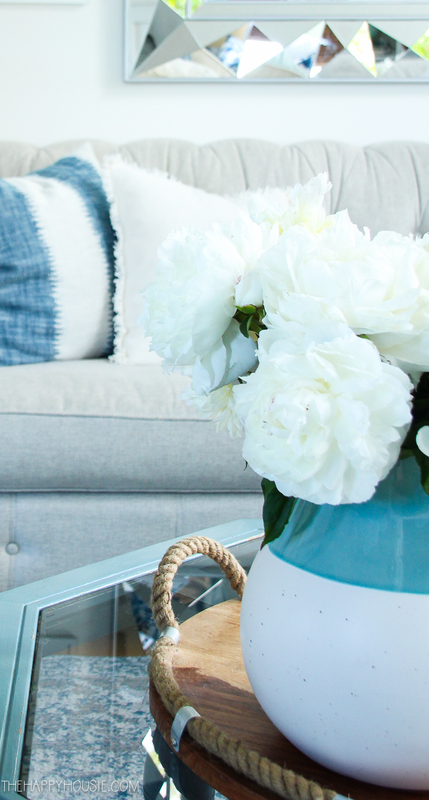 Love the vase the peonies are in? Where did you get it? Thanks! 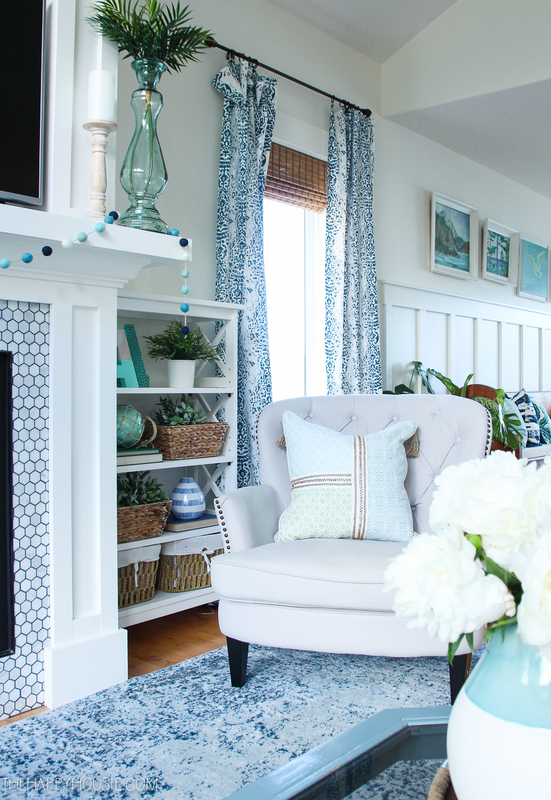 Krista, your home always looks beautiful in blue! 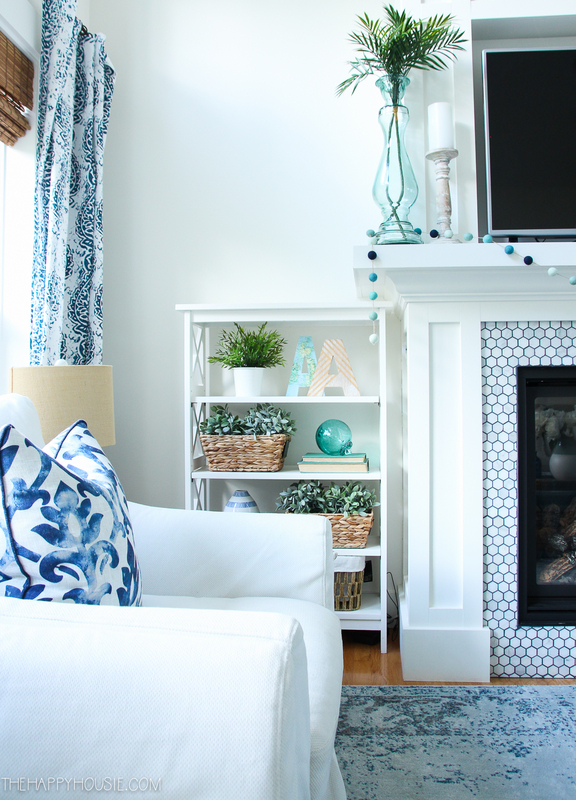 I never tire of seeing your pretty living room. Thanks for joining the summer colors tour!! 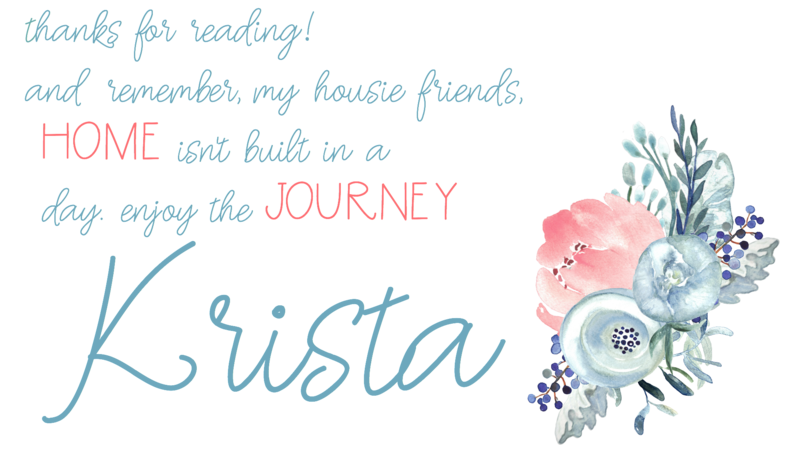 And thank you so much for hosting this fun series!! Beautiful! 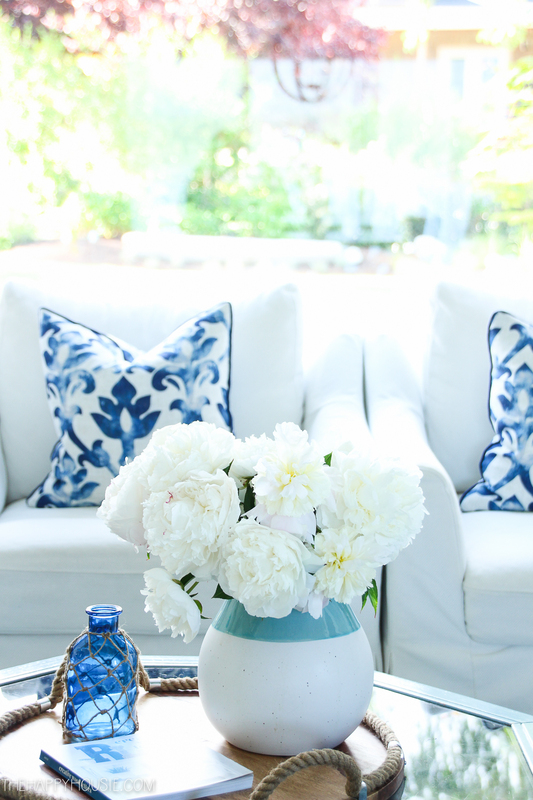 I’ve always loved blue and white. 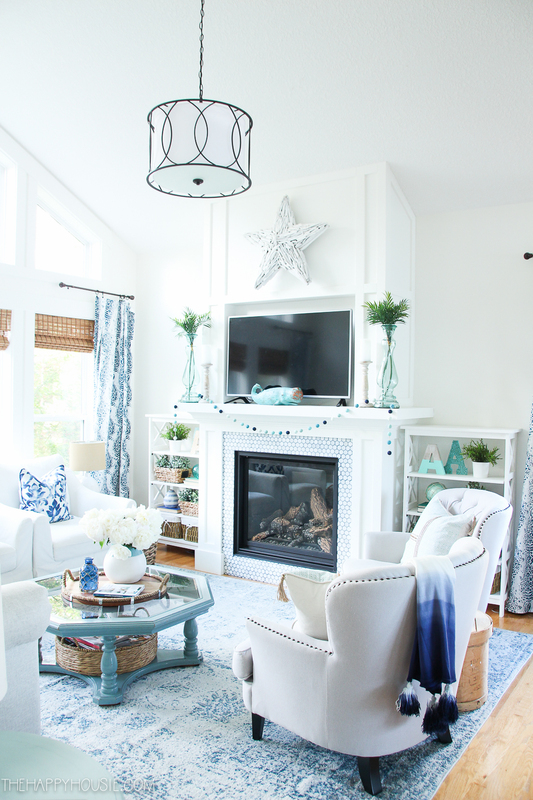 I also really like the hanging light fixture. Do you know where it is from? We have two of these hanging fixtures -the one in the living room (a 3 light) and then a smaller one in our bedroom. It’s the Tadwick 3 light Drum Pendant. Hope that helps! 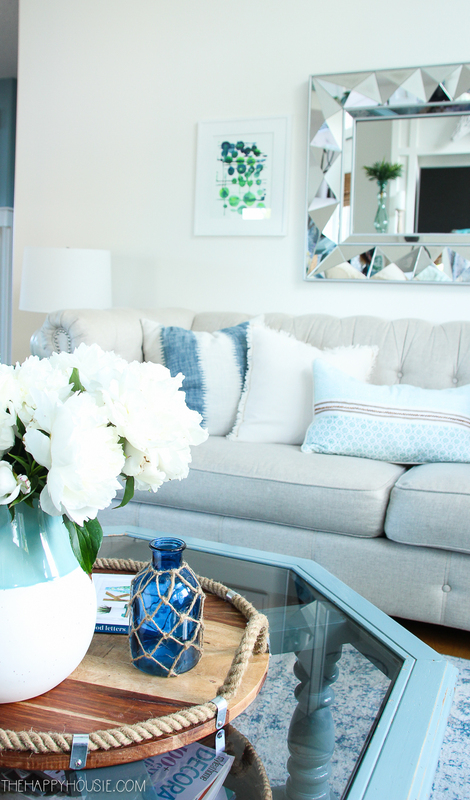 Nice, bright, cheerful and clean lines!! Love it! You did a wonderful job! Aw, thank you so much Janet!